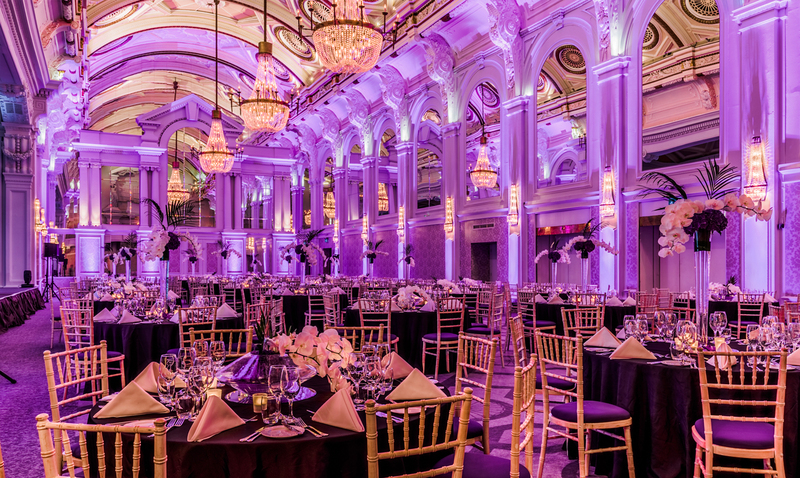 De Vere Grand Connaught Rooms is one of London’s most impressive, sophisticated and opulent event venues. Situated in Covent Garden, the De Vere Grand Connaught Rooms features the iconic Grand Hall, a classy Champagne Bar, the indulgent Tempus Restaurant and is a spectacular, sought after venue delivering a real wow factor. Standing on Great Queen Street, between Covent Garden with Holborn in the West End of London, De Vere Grand Connaught Rooms is a Grade II* listed events venue. Beautiful wood-panelling and dramatic chandeliers are just some of the features of the Grand Hall. This impressive event space can hold up to 750 guests. For smaller events, there are a several executive rooms with original features. A suite of modern training rooms are also available. On the 5th floor is an exclusive roof terrace area, with views of the city. The roof terrace is perfect for Summer Parties and events. Ideal for: Crystal Challenge, Around the World, The Killing, The Ultimate Team Build, Get in the Zone, Escape the Box, No Ordinary Quiz, Murder Mysteries, The Killing and much more!